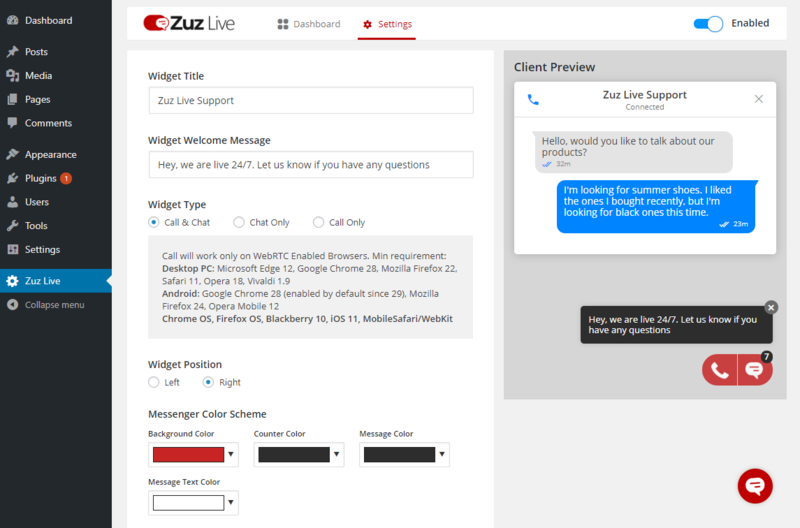 Zuz Live Web Phone Call & Chat Support Plugin for wordpress lets you monitor and connect with visitors on your website via Web Phone Call & Live Chat. 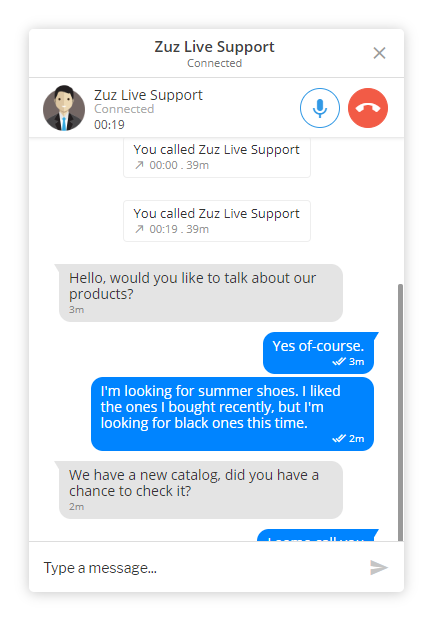 Best for sites with customer support & sales. 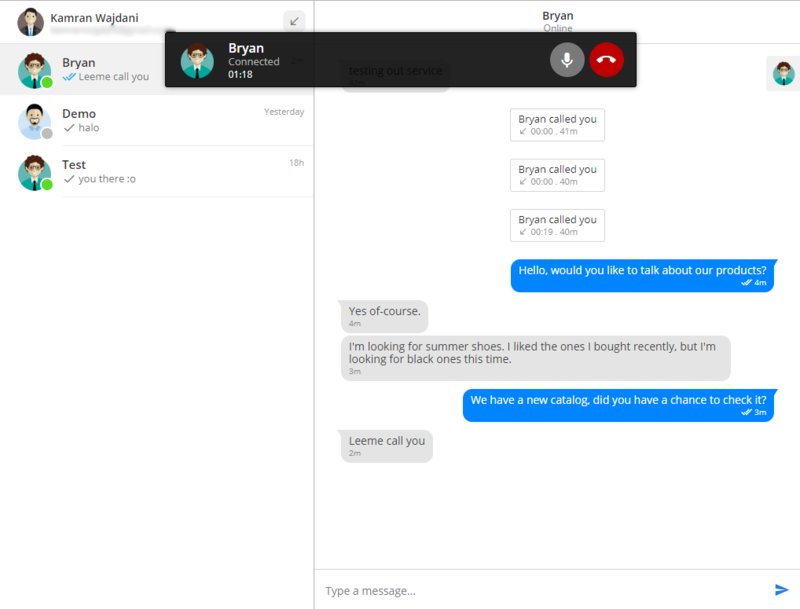 Tired of paying a monthly subscription for every agent you have? 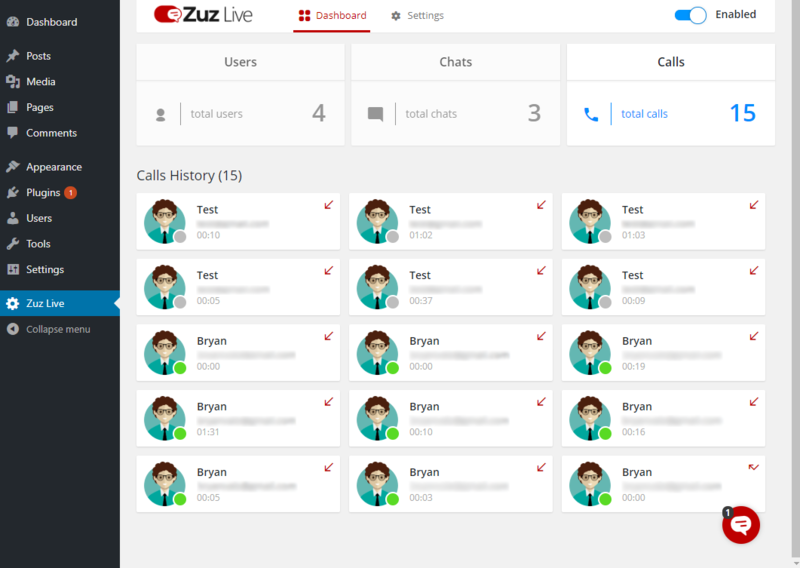 Cancel your current subscription and switch to Zuz Live Web Phone Call & Chat Support Plugin. 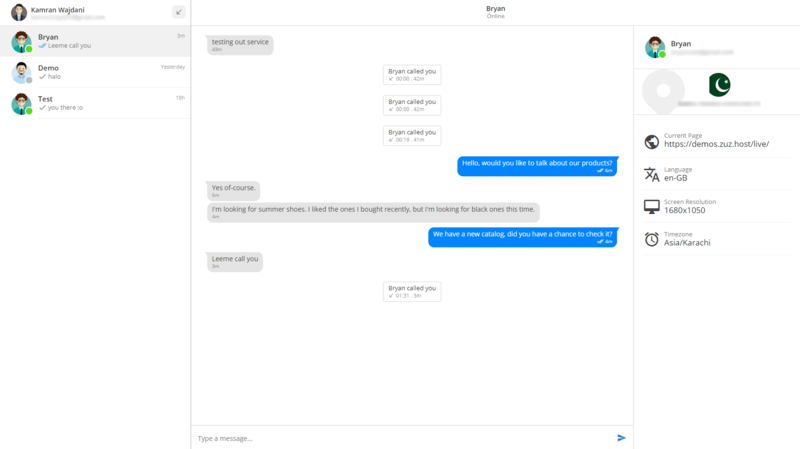 Find out what your customer is typing before they even send their message. Display a typing indicator as soon as an agent or visitor starts typing. Add some fun to your chats with emojis. The plugin uses your own website as its server for ui; Firebase Live Database. 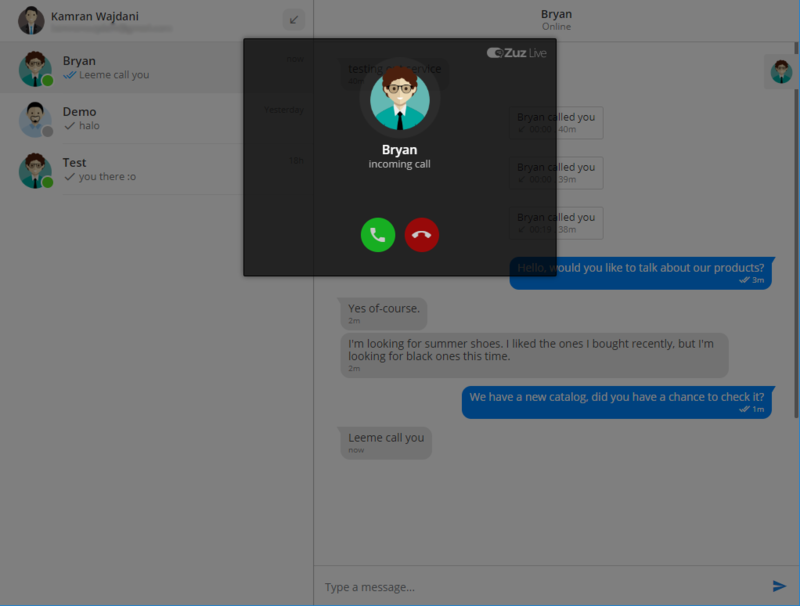 Make Zuz Live Widget Color fit with your current theme. 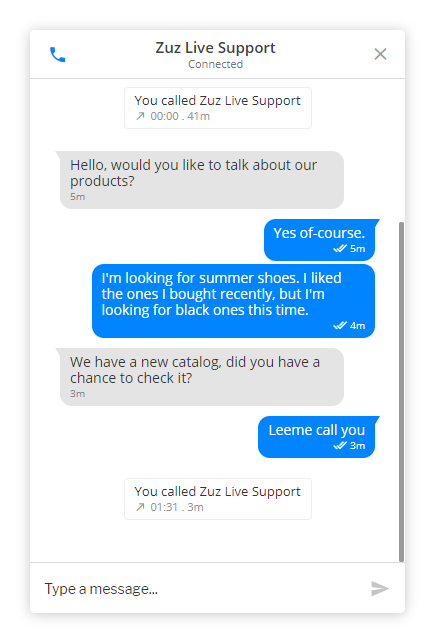 Visit Demo Site or Click the above live preview button to check the Zuz live phone call & chat system before purchase.